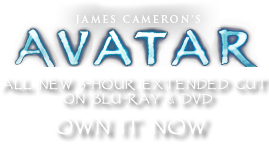 Magellum deltoids | Pandorapedia: The Official Guide to Pandora | Own AVATAR on Blu-ray & DVD Now! These two Magellum species have coevolved a mutualistic relationship that benefits them both. The unidelta tree shares its root toxin with the delta tree, which does not need to expend energy making its own, and the delta tree shares nutrients with the unidelta tree. The only clue that a transfer of toxin has occurred is a subtle change in the bioluminescent color of delta tree leaves at night, which the Na’vi have learned to identify. Animals have learned to avoid feeding on roots of both trees, making this mutualism an excellent defense for both plants. The unidelta tree wood is harvested to make canoes, and the thick waxy leaf cuticle is melted down and used for additional waterproofing. The leaves themselves, which contain no toxic elements, are also used to make bowls since they are naturally waterproofed. The spines are used by the Na’vi to make tools as well as weapons for hunting and fishing. Na’vi Name Tsawlapxangrr or “tall large root.” Or (for short) tsawlapx. Taxonomy Magellum deltoids. Named for Earth explorer Magellan. Same genus as delta tree. Botanical Description Understory forest tree with large triangular leaves, spiny stems, and aboveground prop roots. Similar to closely related delta tree but leaves are non-toxic. Roots contain toxin that kills and digests animal cells. White bioluminescent glow. Ecology When unidelta and delta trees grow close together their roots join belowground. Root toxins pass from unidelta to delta tree roots.